Classy steampunk gentleman costume for hire. Would suit a Victorian or Steampunk theme. 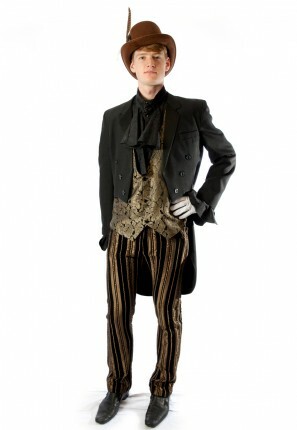 Costume includes black tailcoat black/gold trousers, black ruffle shirt, ornate waistcoat and brown steampunk top hat.